Situated on the Strip, this motel is within a 5-minute walk of Sealink Ferry Terminal and Penguin Interpretive Centre. Kangaroo Island Sealink and Lashmar Conservation Park are also within 12 mi (20 km). 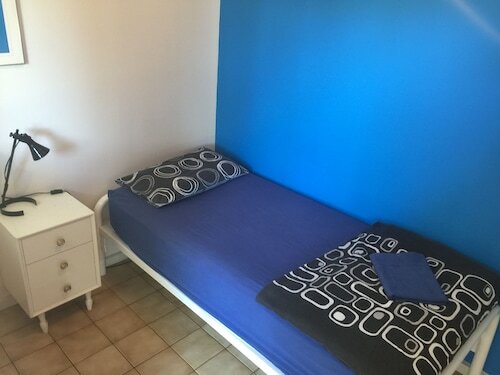 Situated near the airport, this hostel is within a 5-minute walk of Sealink Ferry Terminal and Penguin Interpretive Centre. Kangaroo Island Sealink and Lashmar Conservation Park are also within 12 mi (20 km). 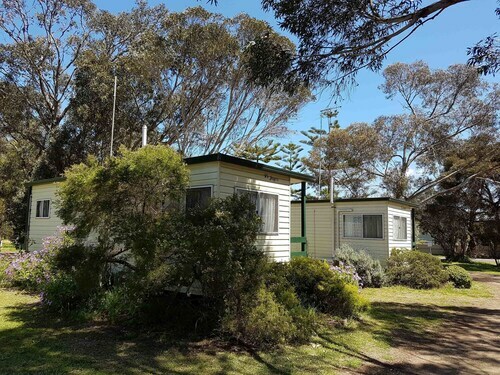 Situated near the beach, this bed & breakfast is within 1 mi (2 km) of Penguin Interpretive Centre and Sealink Ferry Terminal. Lashmar Conservation Park and Kangaroo Island Sealink are also within 16 mi (25 km). 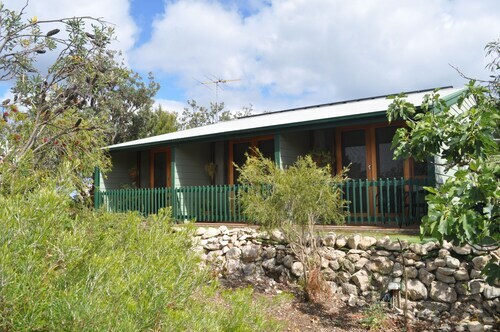 Situated near the beach, this cottage is within a 15-minute walk of Penguin Interpretive Centre and Sealink Ferry Terminal. Kangaroo Island Sealink and Lashmar Conservation Park are also within 16 mi (25 km). Some of the most relaxing holidays are had in country towns or on an island. Wot if you could have both? 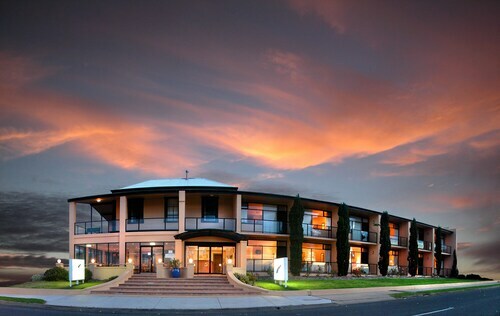 All this is possible thanks to our Penneshaw hotels, located on beautiful Kangaroo Island. Penneshaw is famous for its rare wildlife. As the name implies, kangaroos abound on Kangaroo Island, but there's plenty more that you'll see here. Koalas, New Zealand fur seals, Australian sea lions and echidnas are also commonly seen around the island. In Penneshaw in particular, you'll also more than likely see a colony of fairy penguins waddling along the beach, just after sunset. Guided tours of the Penguin Interpretation Centre are available each evening for a very low entry fee, and then your guide will take you for a look at the little guys in their natural habitat. There's also the nearby Kangaroo Island Wildlife Park, where you can hand-feed kangaroos and pat koalas. 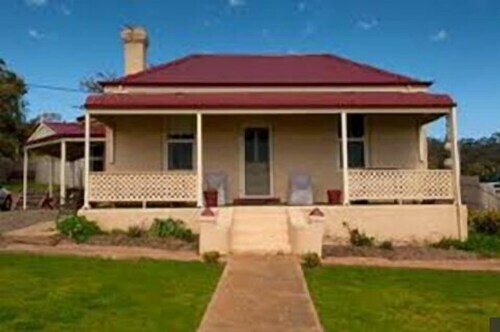 Penneshaw, just like the rest of Kangaroo Island, is also well-known for its delicious food. The Kangaroo Island FEASTival, in April, celebrates the island's great cuisine. There are events hosted by local and celebrity chefs spread over the entire island during the four day festival. Any time of the year, local honey, native jams, locally made cheese and yogurt, smoked fish, freshwater crayfish, locally-farmed lobster and regional wine are just some of the delights you'll have the chance to sample on one of the Kangaroo Island Farm Gate and Cellar Door Trails. You can also pick up some local goodies from the Kangaroo Island Farmers Market and Community Markets at Penneshaw Oval, on the first Sunday of every month. There are plenty of beach and water activities in Penneshaw too. Hog Bay is the safest swimming beach in the area, and there are some nice grassy picnic spots right near the shore. If you want to get your feet wet, you can give fishing, sailing, scuba diving or kayaking a go. The beach also has some really steep sand dunes, which you can sandboard down. More thrills can be had on the island by hiring ATV or quad bikes to cruise around on. 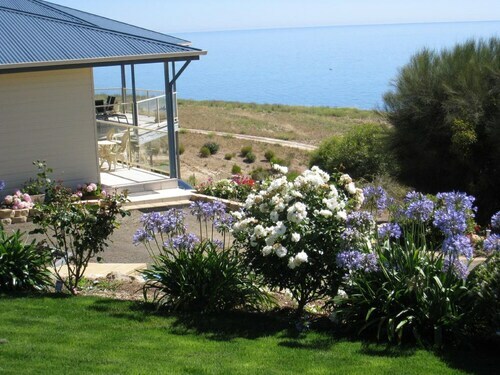 The best way to get to Penneshaw is to fly into Adelaide and hire a car or catch a coach bus to Cape Jervis, where you can jump on the 45 minute ferry trip to Penneshaw. Don't worry about leaving your hire car behind – the ferries carry vehicles and passengers. So, check out our cheap flights to Adelaide, book your Penneshaw accommodation and arrange your rental car or bus ticket to Cape Jervis, then you're all set for a great island holiday. How Much is a Hotel Room in Penneshaw? Hotels in Penneshaw start at AU$50 per night. Prices and availability subject to change. Additional terms may apply. Good little hostel. The rooms are very small but a good stop over. The kitchen and bathrooms are clean and have everything you could want in terms of cooking utensils. The parking isn’t great and the mess down the driveway isn’t a great greeting but overall a good place to stop over!